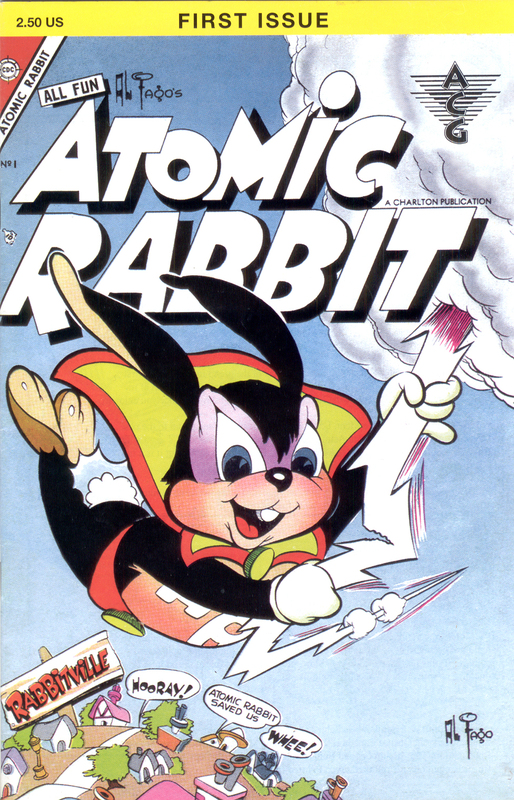 Atomic Rabbit & Friends #1 (ACG, 1996) is a fairly generic compilation of old Charlton funny animal heroes originally published in various comics from the 1940s & 50s. It features characters such as Atomic Rabbit/Bunny, Atom the Cat, Atomic Mouse, and– best of all– Superdog! 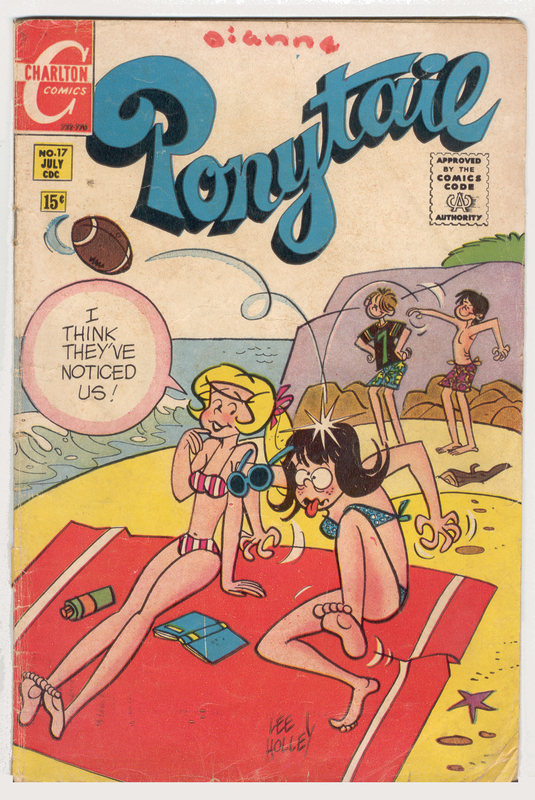 Ponytail #17 (Charlton, 1970) was a fun 50-cent find at the recent Friends of the Lawrence Public Library book sale. I hadn’t heard of it before, but Lee Holley‘s Ketcham-esque artwork looked like fun and crisp cartooning worth picking up. Turns out Holley had actually been an early Ketcham ghost (doing the Sunday strips), eventually graduating into “Ponytail”, his own feature that ran daily (eventually including Sundays) from 1960-1989. During that time he (and/or his own ghost artists) also produced some comic books, published by both Dell and Charlton. As entertaining as the comic was (and it was a fun little comic, nicely drawn with a number of short stories), I also got a kick out of the advertisements, so different from those of the boy-centric comics I grew up with. For instance, this comic had ads for hairpieces, brow liners, and nail care items that rarely shared space with the “moon monsters” and Charles Atlas ads I remembered.